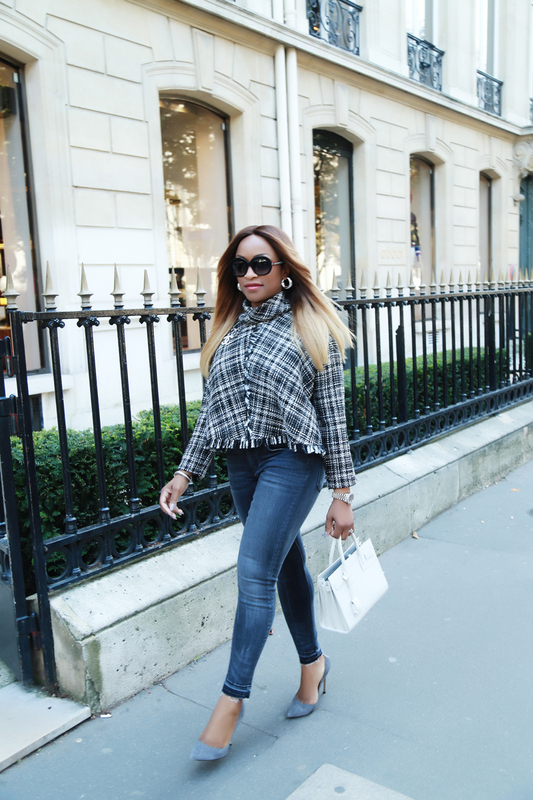 It feels so good to shoot this look here on Avenue Montaigne, home of the top fashion designers. Paris is my new love; it has replaced London as my favorite city in the world. 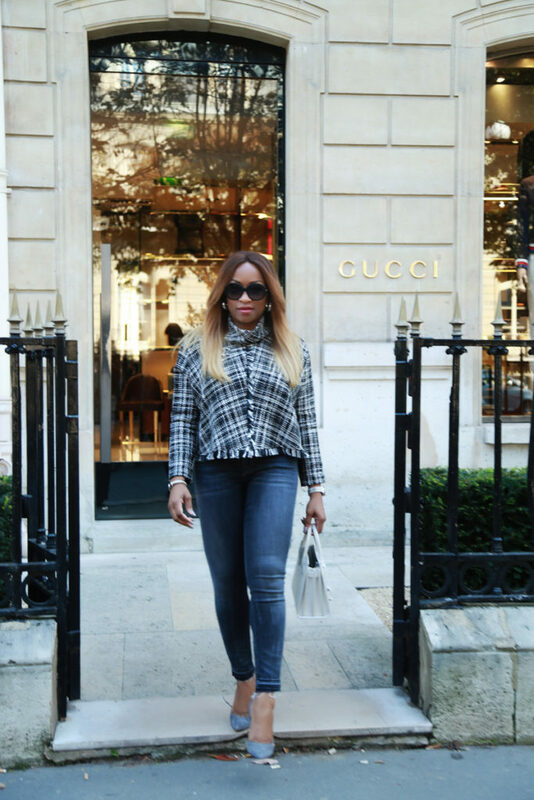 Perhaps I should have shot this in front of Chanel instead of Gucci seeing as I’m wearing a Chanel inspired tweed top. 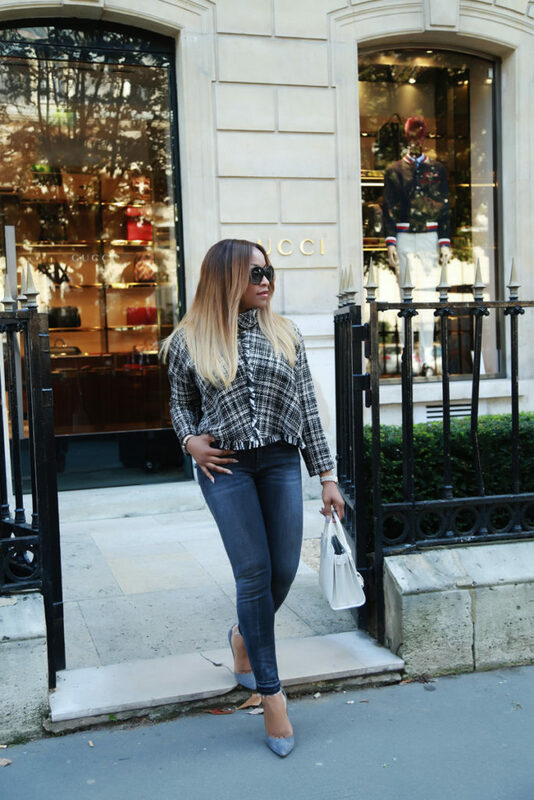 I’ve written about my obsession with Chanel tweed in a previous post; I can’t get enough of this look. 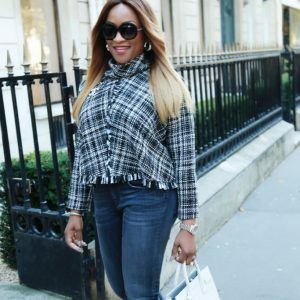 I can’t spot anything tweed without gravitating towards it, that said, let me introduce you to my latest discovery, this tweed top with frayed ends, I got from Zara. 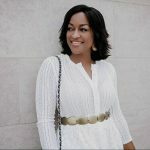 In my other tweed post I shared about my love for Chanel inspired tweed fabrics, and this tweed top is no exception. I just have a thing for the unique composition of the tweed and the frayed ends. 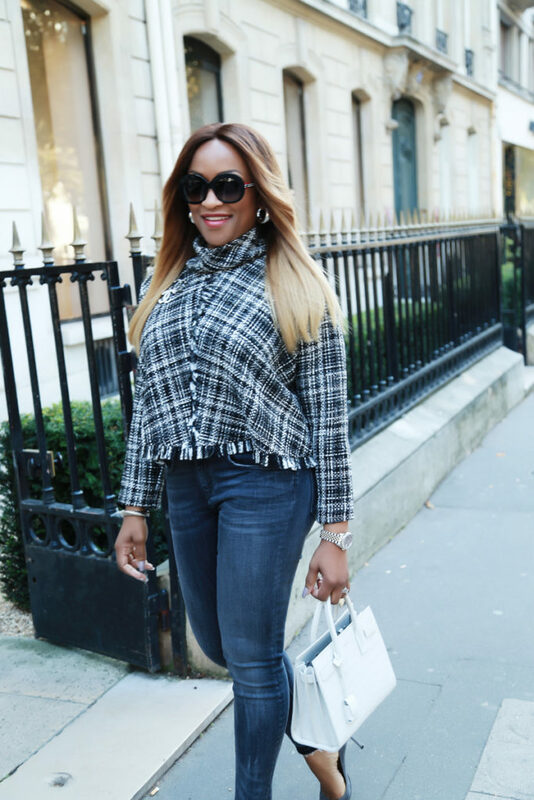 I’ve paired this tweed top with grey skinny jeans for a less formal look. 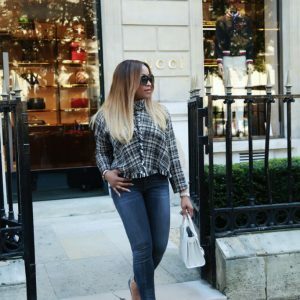 Because the Chanel tweed is a bit of a serious or formal looking fabric (let’s face it, old looking) it’s important to balance it with a less stuffy piece, so you don’t end up looking like an old lady. 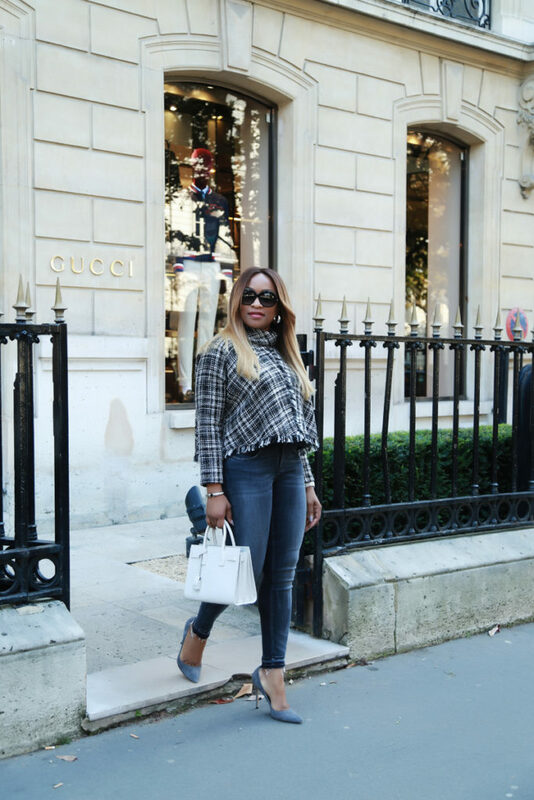 The skinny jeans adds to the appeal of this look and keeps it on-trend. Love you how you made my day with you styles and your dressing keep up the good work Love I found you now. Lol ????????❤️❤️???? 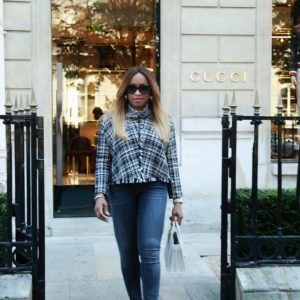 I'm a wife and mother of four and I'm obsessed with fashion, travel and beautiful things. 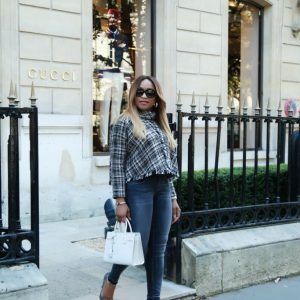 Style Your Selfie Blog is a fun space for me to share my personal style and fashion finds hopefully inspire you to dress your best. I hope you'll follow along on my journey. Sign up to receive exclusive updates and early access to free blogging guides. Can't wait to connect with you!